annaish: OwlCrate Unboxing: April 2017 "Head Over Heels"
For my birthday, my aunt got me a subscription to OwlCrate! I've gotten 3 boxes (so far) but this one (the third box) has to be my favorite. So I thought that I would share my first ever unboxing! I hope you enjoy. Note: My unboxing is not sponsored by OwlCrate. The links I attached in this post are for my own pleasure. 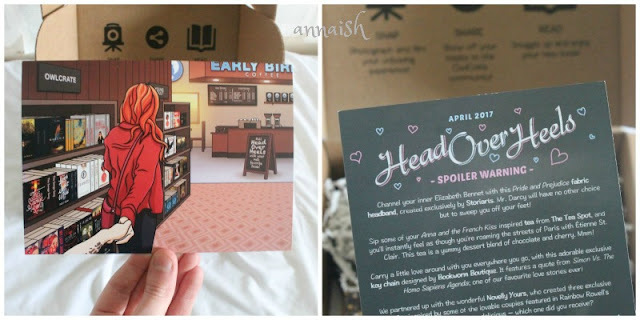 I just really like OwlCrate and the chosen shops this month. Oh and MAJOR SPOILERS for this box haha. Thanks! First thing I saw was the monthly card that OwlCrate sends out. One side has an image regarding the theme and the other side has all the items listed. Really liked the card this month, I love the how they showcased all those YA books! Then I saw this tea bag from The Tea Spot! It's inspired by Anna and the French Kiss and the flavor is Chocolate Cherry Bomb. I don't drink tea unless it's super fruity. But I'll give this a shot! I'm also intrigued by the chocolate - I've never seen chocolate in tea before. Yes, I did squeal when I saw this candle. 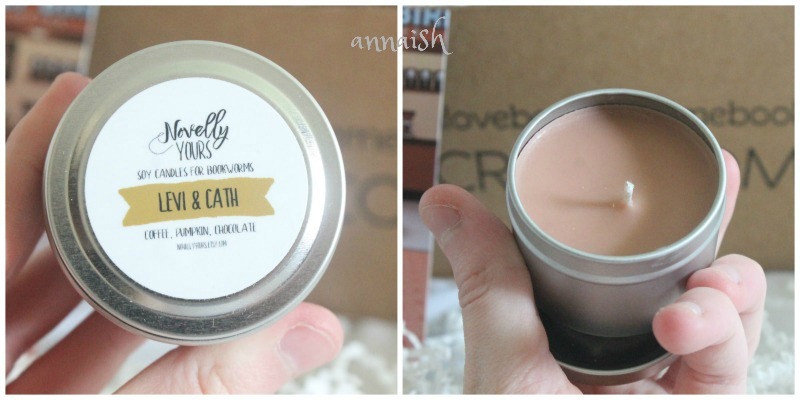 I've always wanted a Novelly Yours candle so I was very excited for this sample candle! It's inspired by Fangirl and the flavor is coffee, pumpkin and chocolate. 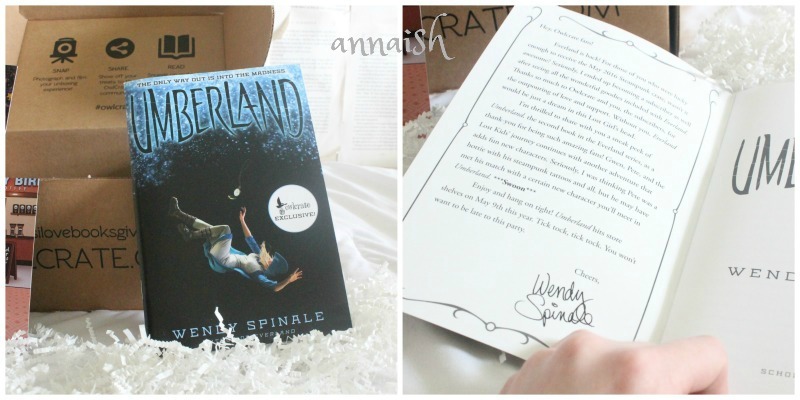 The scent is super strong and it fits perfectly with the book. But, fun fact, there were three sample candles send out. You may have gotten Eleanor & Park which is a vanilla scent. And Carry On which is a cherry scent. Can't wait to light my sample candle! 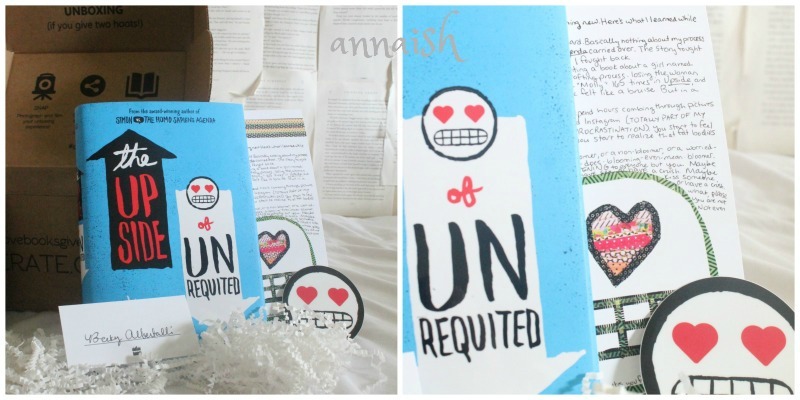 The way I feel about him is like a heartbeat – soft and persistent, underlying everything. To the Stars who listen -and the Dreams that are answered. 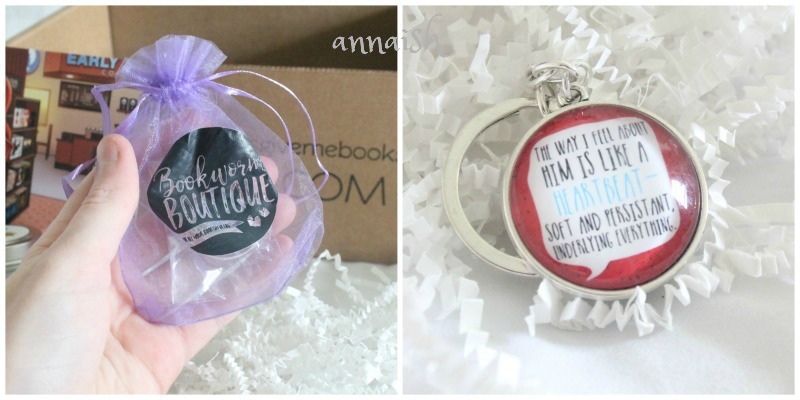 Every OwlCrate comes with an exclusive button, designed by OwlCrate. 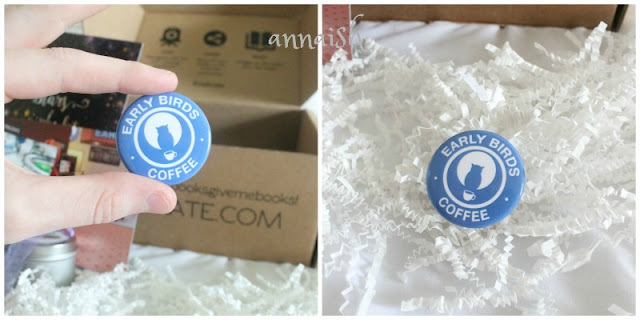 This month was a cute, blue button saying "Early Birds Coffee"! I love the graphic but this button goes against everything I do haha. I'm night owl and don't drink coffee. Oh well, I'm still using it! We got another exclusive OwlCrate item this month. This is a sample of Umberland, the second book in the Everland series. And we got a short letter from the author. Umberland doesn't release till May 9th so this was a nice bonus! I'm definitely more interested in the first book now. This Pride & Prejudice headband (from Storiarts) was the final item before the book! 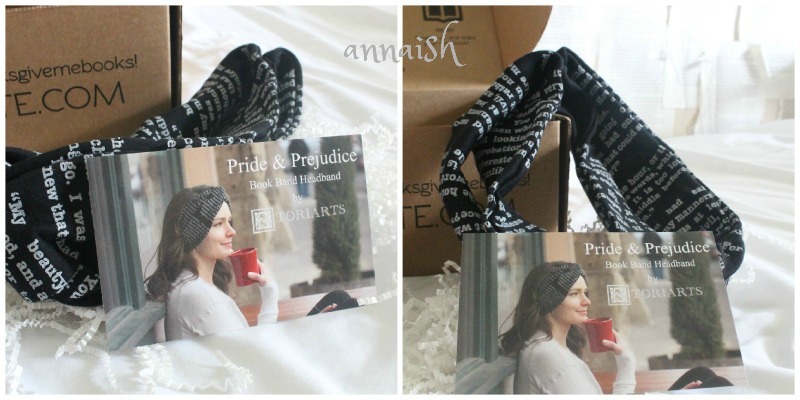 I love the soft, texture of this headband and, of course the printed words are so aesthetic. And finally, the book of the month!! I was spoiled at the minute but I honestly didn't care, I was more excited! Anyway, the book this month was The Upside of Unrequited by Becky Albertalli ... AKA one of my most anticipated read ... AKA one of my favorite contemporary authors. Still thrilled ya'll. Owlcrate subscribers got the hardcover book, a letter from Becky, a signed bookplate and a UPSIDE sitcker! Super happy with this book and swag - thank you OwlCrate! 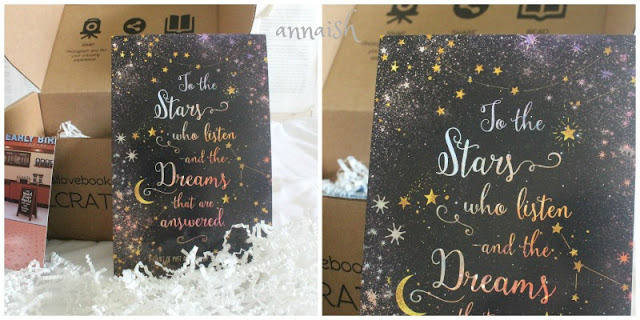 So the left picture shows the whole "Head Over Heels" box and on the right is a sneak peek for the May box. The theme for May is Comic Explosion, which sounds awesome to me! I hope I get this box and do more unboxings soon. 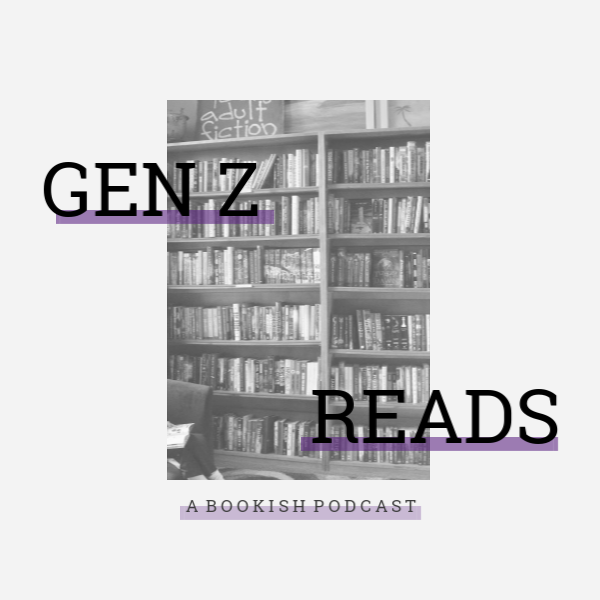 Hey bookaholics! Hope you're doing good on this great Monday. 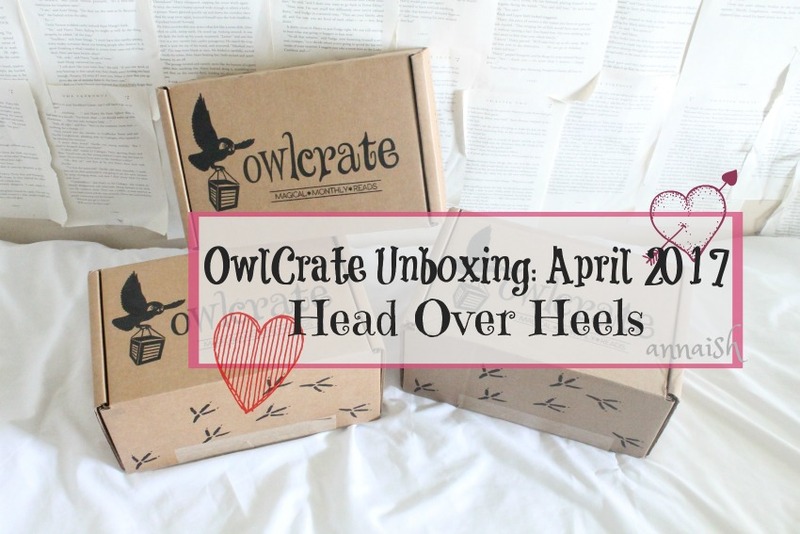 Now, I gotta know, do you like OwlCrate? 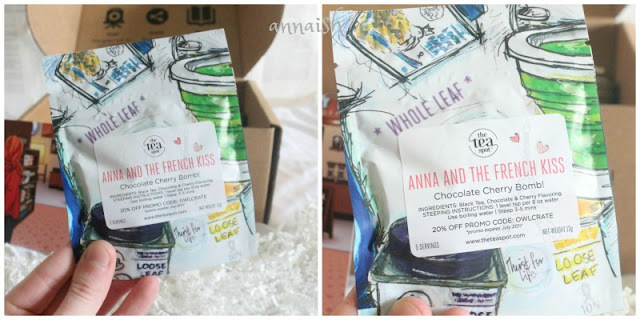 Or do you like subscription boxes? 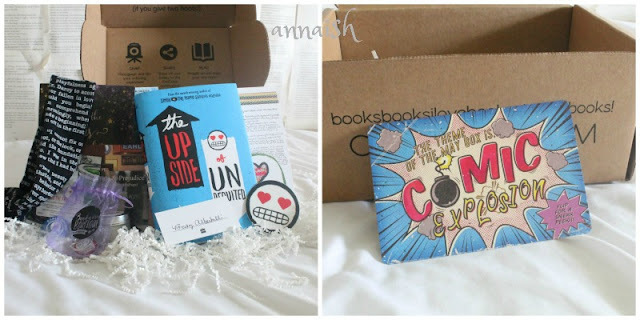 Are you a fan of Becky Albertalli's books? Chocolate tea: yes or no?! Let's chat! I know right?! I love OwlCrate. Me too! I should be able to start it tonight. I was squealing the entire time I read this post.